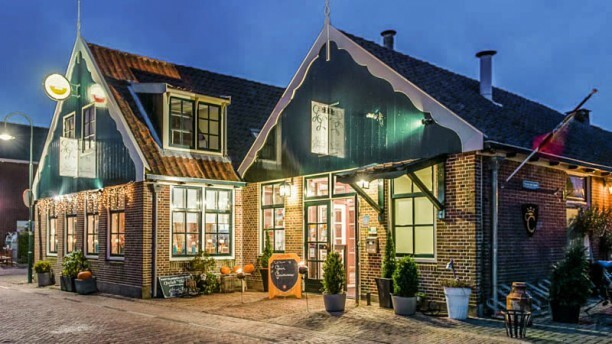 Visit Genot van Grootschermer for a cup of coffee, a glass of wine, a delicious sandwich or a delicious a la carte dish. With a fine view of the polder on the spacious terrace, the restaurant offers you a surprising, charming and gastronomic experience! I highly recommend this restaurant! One of the best I ever went in the region. The service and the people working there are excellent, the food is just WOAW ! For sure we will go back. Amazing evening! My husband and I felt pampered and relaxed while enjoying sublime cooking, so tasteful and creative, offered in beautiful plates that looked like paintings. We loved it. A true surprise for me was the coconut and green tea 'wafer' served with the dessert. Wonderful! We did the 3 course menu. That included set starter (tasting option of 3 starters), a free choice from the main courses and a set dessert (again tasting of 4 different desserts in small portions). For the starters we tried both the vegetarian option and the non-vegetarian. They were surprisingly good size and variety, including a soup and 2 cold starters. As main course we did the fish of the day and vegetarian risotto with beetroot, roasted pumpkin and green asparagus. Again very fine dishes. Finally, a great dessert including red fruit salad with beautiful raspberries, creme catalan, chocolate mousse and vanilla ice cream. All delicious. We were super happy with the quality of ingredients, the price for the menu and the taste, although for us a bit of extra salt and seasoning would not have done harm. Thank you Het Genot van Grootschermer for the great evening out!